At Healthcare Administration Degree Programs, we provide resources to help you learn about both undergraduate and graduate degree programs in healthcare administration. We have information concerning online programs as well as traditional degree-granting institutions. Additionally, we have many articles and links that address important topics affecting healthcare administration today. Our FAQ section provides answers to common questions about healthcare administration and the degree programs that can prepare you for work in this field. We even have interactive articles to help you learn and understand the issues affecting work in healthcare today. According to the Bureau of Labor Statistics, healthcare administration is presently a rapidly expanding career field. The projected growth in this field between 2012 and 2022 is 23 percent, more than 10 percent higher than average job growth nationwide. Also, the pay for healthcare administrators is good with median annual earnings at $88,580 in 2012. To begin a career in healthcare management, you need a bachelor's degree. You can get a bachelor's in health administration and enter the field directly. You can also get your undergraduate degree in nursing or a related field and then enter healthcare management when you earn your master's in health administration. Keep in mind that different employers have different requirements for those working in healthcare management. 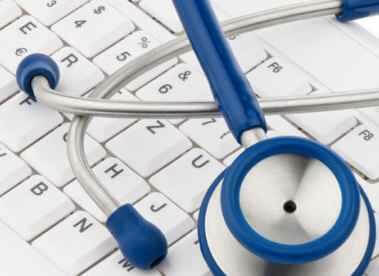 Healthcare Administration Degree Programs will help guide you concerning the best educational and career path for you. Non-traditional students might find that online healthcare administration programs best suit their scheduling needs. Nurses seeking jobs in healthcare management might prefer attending graduate school part time while continuing to work in their current field. Take the time to familiarize yourself with the many resources available here at Healthcare Administration Degree Programs. If you need more information or have questions about anything you see, feel free to contact us.